Stuart Addition Historic District is named for Judge Archibald Stuart, a wealthy, influential resident who deeded the area to the city in 1803. Mary Baldwin University if located within this historic district, as are notable historic churches. Augusta Female Seminary was founded in 1842, but you know it today as Mary Baldwin University. The large Greek Revival building on campus dates to 1844 and was built to meet the needs of the growing school. The building is often the backdrop for photos; take one there yourself. The Presbyterian congregation in Staunton predates the First Presbyterian Church at 100 E. Frederick Street. Fellowship of congregants began in 1804 and their first house of worship was built in 1818. 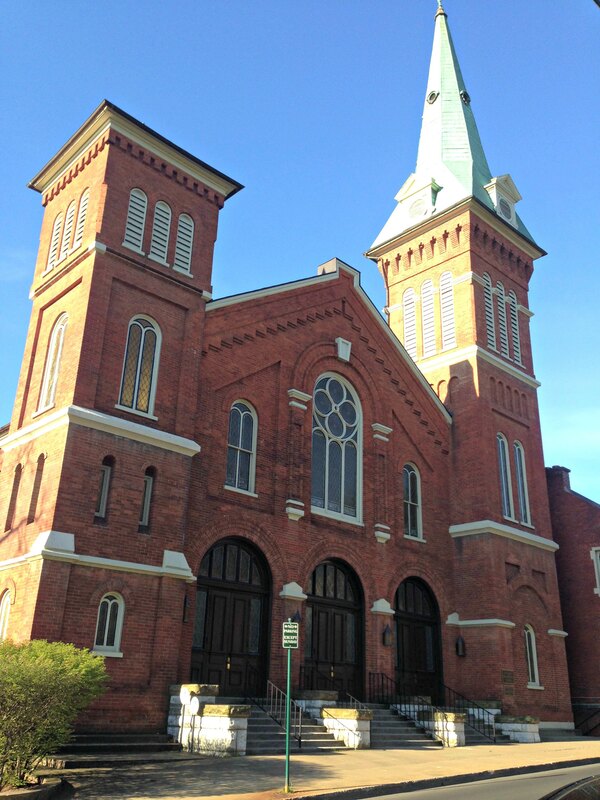 The church you see today is their second: a Romanesque Revival with a tall white spire. It was dedicated in 1872. An interesting bit of extra history about First Presbyterian: Reverend Joseph Ruggles Wilson was at the pulpit when his son Thomas Woodrow Wilson was born in 1856. The basin used to baptize the would-be President of the United States is still in use. The Catholic Church is at home at St. Francis of Assisi Parish, a commanding Gothic Revival designed by none other than T. J. Collins, a parishioner, and built in 1895. 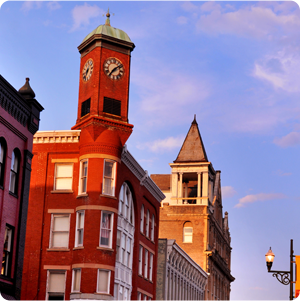 The church was Collins’ first major commission in Staunton. In our article about the Beverley Historic District we introduced you to a one-time YMCA the locals refer to as the clock tower. 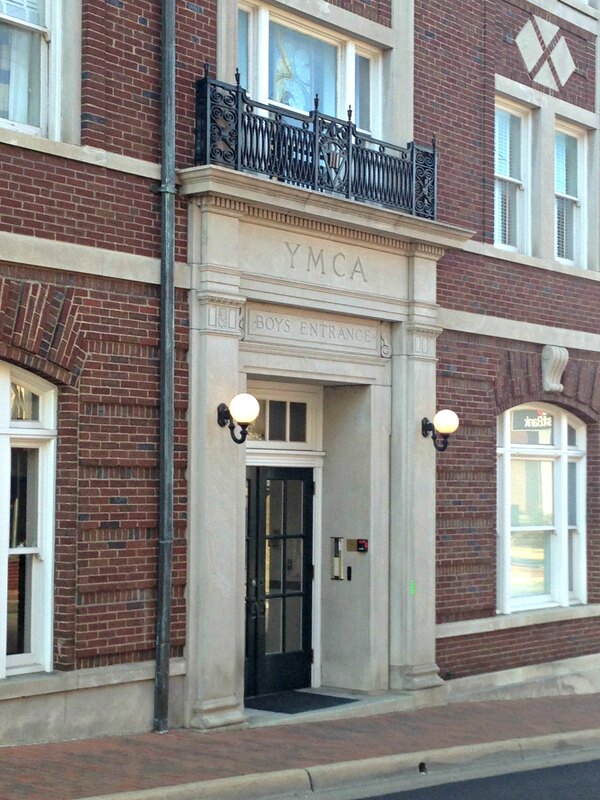 In Stuart Addition Historic District, we have another one-time YMCA for your interest. The Renaissance Revival at 41 N. Augusta was built as a YMCA in 1914. The estate of Cyrus McCormick, the inventor of the mechanical reaper, donated $50,000 toward its completion. 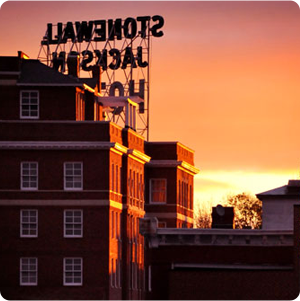 Today the Y is a series of quirky lofts – the Old Y Lofts – that include nostalgic pieces of the building’s original use. In one loft, a bed platform is actually the old stage. In another, a fun trap door leads into the old pool, which is now a wine cellar. Fun, huh?! 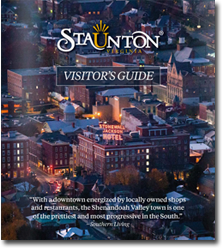 There are at least 13 more sites within Stuart Addition of historic significance marked in the Historic Staunton Foundation walking tour map. Be sure to pick up a copy from their office at the R. R. Smith Center or check out their Flickr Account for a “virtual tour” of Stuart Addition.